Moscow (AFP) - Russian gas giant Gazprom on Tuesday fired off a new salvo in Moscow's feud with Ukraine by demanding some $2.5 billion for Kiev allegedly breaching its supply contract. Gazprom said in a statement that under the terms of its deal with Ukraine state firm Naftogaz, Kiev had to buy a minimum annual amount of gas from them or face a penalty and that supplies had fallen short of the required level in the third quarter of last year. 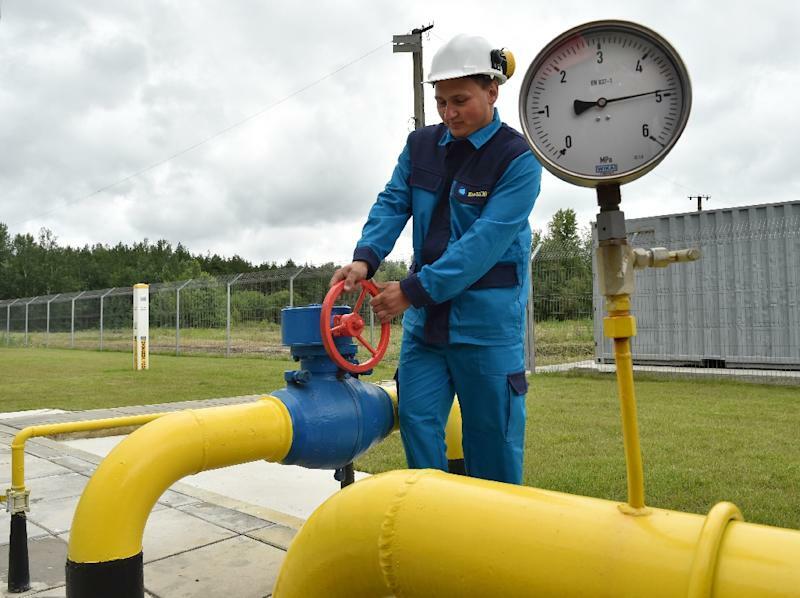 "Taking this (minimum level) into account and the volume of gas delivered by Gazprom to Ukraine in the third quarter of 2015, Naftogaz Ukraine has been sent a bill for $2.549 billion," the statement said. "Gazprom is waiting for the bill to be settled in the next 10 days," it said. The move is the latest step in Russia's fallout with its ex-Soviet neighbour that started with the ouster of Kremlin-backed leader Viktor Yanukovych in early 2014 and saw Moscow seize Crimea and back pro-Russian separatists in east Ukraine. The crisis has also sparked a lengthy gas dispute between the two countries that has seen Gazprom turn off supplies to Kiev and the European Union step in to help negotiate a new deal between the two sides. Ukraine has been trying to wean itself off its reliance on Russian gas and bought practically no supplies from Gazprom in the third quarter of last year, according the Russian company. There was no immediate response from the Ukrainian side to the demand. Ukraine's standoff with Russia has also recently been accompanied by an escalating trade war and a heated disputed over an overdue $3-billion (2.8-billion-euro) loan that Moscow extended to Yanukovych and which cash-strapped Kiev now refuses to repay in full. Kiev argues that Moscow lent its ally the money on preferential terms as a bribe for Yanukovych's shock November 2013 decision to scuttle a free trade agreement with the EU that Kiev has since signed. The new government wants Russia to accept a 20-percent debt writedown -- the same terms accepted last year by Ukraine's private creditors. Russia has refused and promised to launch legal proceedings against Ukraine in a London court by the end of the month.